Editor’s Note: Andrew and Beryl Plodowski’s amazing story is told in Tom Noe’s book Into the Lion’s Den, available here. Beryl Dowd was born September 8, 1922, in Liverpool, England. She grew up in a devout Anglican family, graduated from Holly Lodge High School and then enrolled in a commercial school while working for the Royal Insurance Company. During the wartime blitz, the staff was evacuated across the river to Oxton Wirral, where they sometimes spent all day in air-raid shelters. Early in 1942 she met a young Polish serviceman, Andrew Plodowski. In 1939 Andrew had narrowly escaped death at the infamous Soviet massacre of 21,000 Polish soldiers at Katyn. He had gradually made his way underground to England, where he joined one of the Polish squadrons of the RAF. They were married on April 28, 1943, and after a short honeymoon Andrew returned to his RAF station in Lincolnshire. He flew the maximum number of missions allowed, achieved the rank of major and was transferred to Polish Air Force headquarters in London, where he edited its bilingual publication Skrzydla (Wings). It was a painful separation. London was under constant bombardment by the Nazis, so Andrew didn’t want to expose Beryl—and the child they were then expecting—to any danger. They rented two rooms in Wallasey, near Beryl’s parents, and Andrew commuted from London whenever he could. When Beryl was expecting their second child, she insisted that the family find some way to live together, so Andrew located a place in London. Friends were helping them clean it up when a German flying bomb exploded 100 feet away. Miraculously, no one was hurt, but the house was in shambles. Then Andrew located a three-room apartment which Beryl transformed into a livable home, despite such added wartime features as a crack in the wall through which they could watch the stars at night! After the war, Andrew and Beryl and their two young daughters, Krys and Barb, lived in London for three years. Few Polish veterans were returning to Poland, which was under Soviet control, and they decided that starting over in the United States was their best option. Andrew graduated from Notre Dame Law School in 1952, their son Andrew John was born in 1953, and after they became U.S. citizens in 1954 Andrew started his law practice out of their home in Mishawaka, Indiana. Over the years Andrew devoted himself to a wide range of parish and renewal activities, from leadership in the Cursillo and deacon-training to charismatic renewal and even seeking a seat as a prolife candidate for county judge. He traveled to Rome during each session of the Second Vatican Council in order to meet all the Polish bishops personally and to arrange for sending them books and Bibles. He was a founding member of the People of Praise. When Beryl made the covenant November 1, 1974, she didn’t know that her life would soon begin to blossom in an unexpected direction. Two Polish priests visited their household in South Bend in 1976, and invited them to come to Poland to do God’s work. The next summer, the community sent Andrew and Beryl behind the Iron Curtain for three months, where God used them to spearhead the growth and development of the charismatic renewal throughout Poland. This traveling ministry lasted until 1989, and Beryl accompanied Andrew on his annual trips whenever feasible. Gradually, as she became more comfortable with the Polish language, she began sharing insights at retreats and conferences and giving talks through a translator. They prayed over many hundreds of people at retreats, prayer meetings and planning sessions. In Poland, Andrew and Beryl shared People of Praise teachings and fostered Christian community while constantly under observation by Communist authorities, in daily need of necessities like food and sleep, and despite Andrew’s heart condition and several other ailments. (Both were in their 60s.) They always returned to the U.S. utterly exhausted. Andrew once wrote home to South Bend, “If I hadn’t had my oil, two cans of salmon, some nuts and raisins, we probably would have starved.” It was also mentally exhausting, since they never knew when the Bibles and texts they were taking into Poland might be confiscated. One misstep and the Communist government could order them to leave the country immediately and ban them from future trips. One time at Magdalenka, near Warsaw, Beryl gave a talk on sisterhood, based on People of Praise teachings. Andrew wrote home about the good reception her talk received. Later, in Poznan, spending time with the numerous prayer groups in that region, Beryl gave several more talks. Andrew was delighted at the good reactions of the listeners, especially the women. They moved to Venice, Florida, in 1985, for retirement and health reasons. Actually, it wasn’t quite a retirement, because both continued serving the Lord and the church, in addition to making more trips to Poland. Andrew was a deacon at Epiphany Cathedral, and they attended the parish charismatic prayer meeting. They were always delighted to welcome friends who were able to visit from Poland, and some foreign visitors experienced freedom of religion and freedom of speech for the first time. Andrew’s death in 1995 hit Beryl very hard, but she bravely continued to stay active. She followed a bit of wise advice: “Don’t say no,” meaning, respond to every invitation to get out and be with people. So Beryl expanded her volunteer work. She continued working at Epiphany Cathedral’s gift shop for many years, and volunteered almost daily at the second-hand clothing center run by St. Mark’s Episcopal Church. She loved the interaction and enjoyed talking to the staff and clients. 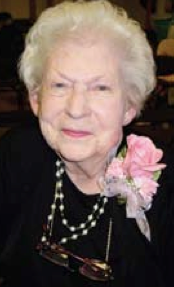 Her life also continued to revolve around family, and she traveled north every summer to stay with her children’s families for several weeks at a time. She was thrilled to be right in the thick of all the grandkids’ activities. Beryl was 88 when she fell at her Florida home in January, 2011, and complications from that injury led to her death on April 20. 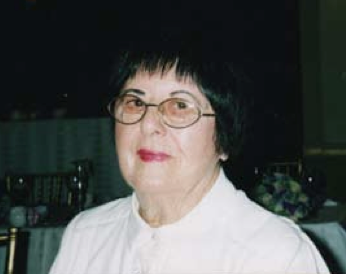 In addition to her children Krystyna, Barbara and Andrew John, she also leaves behind six grandchildren and 17 great-grandchildren, and many thousands of renewed Christian brothers and sisters in Poland who can trace their experience of being baptized in the Spirit to the ministry of our brother and sister Andrew and Beryl Plodowski. Beautiful woman! Her generosity is an inspiration! I have fought the good fight, and finished the race. That is what comes to mind when I hear the names of Andrew and Beryl. Gives me alot of hope for all the work that still is ahead for us.